Gamers out there. 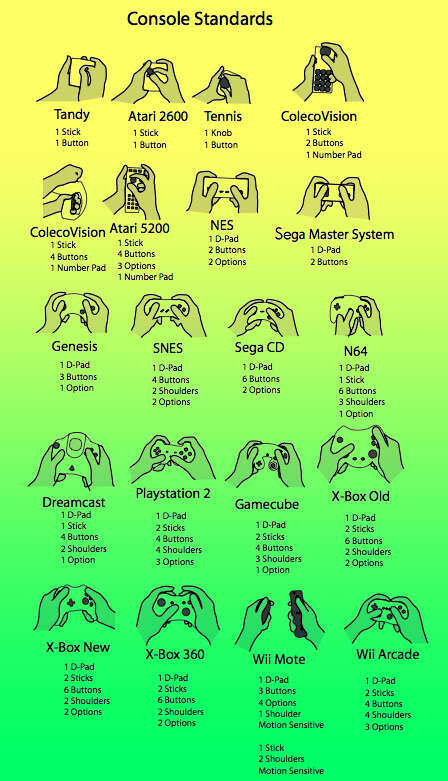 Do you know your controller has been going through evolution? An on-going research project has shown the following. That study was also done on portable systems controller too! Nice post! Brings back lots of memory! 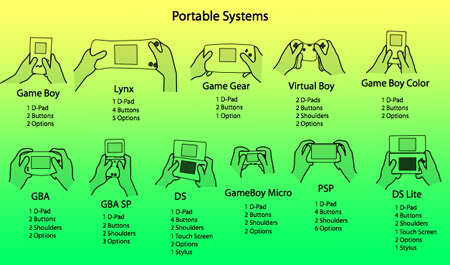 Funny why the great grand father of portable is not included - GAME & WATCH! That is one of the classic Snark. even today if you play it, it is still entertaining. Seems like most console follows the controller style of NES. But Wii is quite a break through. NES had good design and Wii remote to date is still awesome.